So one of my goals of the year is to read at least 3 non-fiction books this year. As someone who only enjoys reading fiction, non-fiction pushes me out of my comfort zone so three is just about all I might manage! 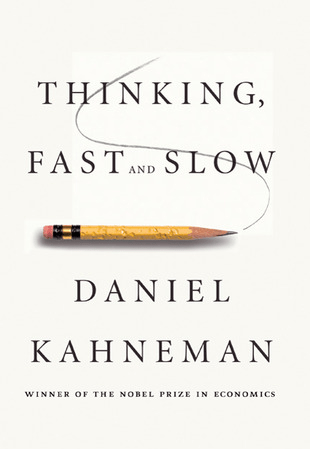 A book that was recommended by various FIRE people was ‘Thinking, Fast and Slow’ by Daniel Kahneman, so I picked this up at my local library. I’ll be blunt and shall say that I really did not enjoy reading this book. I thought the writing was soooooo tedious, far too academic and far too long – an eye-glazing textbook. It was a struggle and I found that I could only read/only wanted to read a few pages at a time, which didn’t sit well with me, as I usually enjoy reading chapters for hours at a time. I don’t like to give up on books – I know some people think that life is too short for books you don’t enjoy. I started reading it in May, it’s dragged on til now and I ended up paying a library fine. Despite the above, I thought that the topics covered by Kahneman were absolutely fascinating! That’s the annoying thing about this book – I was really interested in the experiments and some of the theory and history, it just wasn’t an easy read by any stretch of the imagination. One of the book’s aims is to “improve the ability to identify and understand errors of judgement and choice, in others and eventually ourselves…” and indeed, after toiling and slogging through the pages, I did learn about or rather increase my awareness of decision-making. There’s an interesting chapter titled ‘The Illusion of Stock-Picking Skill’ – one for those who think they can beat the market – which covered things like halo effects and regression to mean. Optimism Bias, which includes underestimating costs and duration of projects we undertake – will definitely be looking at my spreadsheets again! Availability Bias, where continued exposure to things can affect your judgement/thoughts – has being in the FIRE bubble/community lulled me into thinking that what I’m doing is a probability rather than a possibility? Another topic covered was that most people underestimate the role of chance in events. Fortunately, I believe very much in luck and chance, being a bit of a gambler (still). The piece on loss aversion was particularly interesting especially as I could directly apply it to how I feel with my matched betting and also with my investments. Some of this stuff I would very much like to read more on, starting with this great piece titled ‘Your Lying Mind‘ which the Monevator kindly brought to my attention this week. Anyway, I’m so relieved to have gotten the book out of the way – only two other non-fiction books to get through now although I will try to choose something a lot friendlier to read! Please ignore the negativity at the start of this post – that’s just me struggling with my general aversion to non-fiction! I do recommend this book as it’s got some great insights, some interesting stuff on how people can get swayed in their decision-making and it does make you think. Oh and I was finally able to update my book bingo card again – yay! This entry was posted in Books, Well-being by weenie. Bookmark the permalink. This review made me smile Weenie. Thinking fast and slow is a great book, but not the easiest read. I found it tough going and I’m an Economics grad and non-fiction reader! So a challenging book for a fiction reader. If you’re interested in the subject matter, there’s a book called “the art of thinking clearly”. It talks about 99 different biases in 1 or 2 page vignettes. Much more accessible. Also no shame in giving up on a book, even if that’s difficult to do (the sunk cost fallacy). Although there’s no (monetary) sunk cost in a library book; in fact, in this case, it would have saved the cost of the library fine! I also hate giving up on books, but sometimes if a book’s really hard going, it makes sense to do so. If you swap to book on a similar theme, it may clarify the subject enough so you can then revisit the original without getting bogged down. I always give a book the benefit of the doubt and then when I’m thinking of giving up, I’m already half way through it! I think of the time I’ve already spent on it (sunk cost!) so I persevere! Fortunately, very few of these books have turned out to be really bad. Yeah, should have saved on the library fine but on the other hand, I know the library needs funds so perhaps in that way, I’ve helped out a little, haha! Thanks for the book recommendation as I am interested in the subject matter. Ah, sunk cost fallacy – looking back, I do succumb to this frequently! I’ve always meant to put this book on my reading list – it’s one that I always see in the book shops, but then another newer book tends to catch my eye. It sounds like a difficult but ultimately valuable read. What else is on your non-fiction list this year? I’m halfway through “Why I’m No Longer Talking to White People About Race” which I’m finding incredibly powerful. I might read another Tim Harford book but have been recommended one by my colleague which should be more lighthearted/humorous. I’ll read a couple of fiction novels first though, to get my reading mojo back! That book you mention looks interesting and I’d be curious to see if my own experiences are reflected in there – thanks for the recommend, although it does look like it could be heavy going and not always comfortable reading! I agree Weenie, it’s a great book, but boy is a hard read. It’s far too academic and wordy for me – I don’t really care about the rigour of your experiments, just hide them in an appendix and tell me your findings! And bias are fascinating – I know I have so many of them and it’s really hard to turn them off. Agree, far too much detail, I just wanted to know the findings! And the appendices at the back – I didn’t read those, so does that mean I didn’t actually finish the book…? I think the best we can do with biases is to be aware that we have them! Hi Weenie – one solution to interesting but difficult books like these may be audiobooks. I’m nearing the end of Stephen Pinker’s Enlightenment Now on this format, and I don’t think I’d have gotten as far with the printed book. It does feel like cheating when I claim I’m “reading” it though! Sadly, I’ve tried audiobooks and I find that I drift off and stop listening so have to keep rewinding! This is with fiction books, so would probably be tougher with non-fiction. I have some friends who swear by them and listen to them when commuting. I don’t think it’s cheating, you’ve just consumed the book via another medium! Hi Weenie. I agree with you. It’s not a page turner and it took me a while to finish the book. I’m glad I did though because it has increased my own awareness on how I make decisions. I personally found the way he designed the experiments really fascinating and definitely outside the box type thinking. Yes, I’m glad I kept at it as there were valuable points to be learned and I was made aware of my own thinking and decision-making. I’m not surprised that Kahneman’s a Nobel prize winner – as you say, definitely outside the box thinking of the time. I’ve got a copy of this book and have been saving it for a holiday next month, so it is good to know it isn’t a light read. It sounds similar to “How not to be wrong” by Jordan Ellenberg. A pretty good read, but it can drag at points and you are looking for the end of the chapter. Yes, I prefer light reading for holidays too and this one is not, although @Philip Clarke below would beg to differ! ‘How Not to Be Wrong’ looks like it could be interesting but at least I’ve been warned it will be heaving going! Thanks for the recommendation! Haha… I can definitely empathise with this weenie! I still haven’t finished it… over a year and counting. Saying that, whenever I do pick it up I find it really really interesting, riveting almost (I think we like different kinds of books… it’s fair to say!). It is a tough read but very rewarding I would say. There is always some really useful nugget on almost every page so although it’s quite wordy I wouldn’t say it’s unnecessarily wordy… there is just a lot of information to get across to the reader. theFIREstarter recently posted…can we afford an electric vehicle? let’s run the numbers! Took this on holiday, and finished it in a day! But then it was a sitting by the pool with a book kind of a holiday. I recommend it highly, it also made me re-examine some of my strategies both in investment and elsewhere. I think it will improve the decision-making processes of a lot of people who read it. Liar’s Poker, The Big Short, Flash Boys – Michael Lewis. Of these I would describe Liar’s Poker as the most page-turning, in fact I’ve read everything written by Lewis, always with great pleasure. Wow, well done to you reading and finishing it in a day! My brain is hurting just thinking about it, haha! I’ve read 3 of your list (A Random Walk Down Wall Street, Smarter Investing and Liar’s Poker) – the others are on my to read list. Yes, I did enjoy Lewis’ writing – have seem the film The Big Short but would still be interested in reading the book. I’d never leave a book unfinished for so long but I guess since it’s not a novel, you can just pick it up and read a bit at a time, though that’s not how I enjoy my reading. But yes, some very useful nuggets and some surprising results to experiments which show how people do not always think in a logical manner as there are so many other factors! Seeing the comments about the book being a hard read is like therapy to me as I thought it was just me struggling! I dip in and out of the book and find that best. I’m glad that the blog comments have provided some therapy! At first, I thought it was just me too, since the people who had recommended it mentioned nothing about it being a hard read. I like “Whoops! : Why Everyone Owes Everyone and No One Can Pay”. It’s by John Lanchester who also wrote (the novel) Capital – which was televised a while ago. I found it fun and readable (but I also found Thinking Fast and Slow readable, so I might not be the best benchmark for books that suit you). Freakonomics and SuperFreakonomics were also fun. I never feel the obligation to finish a non-fiction book. It isn’t like it’s a story that has a conclusion: often I find that I get the most out of the first quarter or third of a book, and the rest is mostly more examples of the same point or refining the same point. Normally I’ll have several books on the go at one time, if one isn’t exciting me, I’ll just ignore it until it excites me or falls off the first page of my Kindle list. Do you think that your book challenges are still helping you? The review reads more like a tale of obligation than exploration to me. Would it help to read the first couple of chapters in the library before you commit to a book? If you decided to read 15 pages of five books and then pick one you might feel less obligation to stick with a book that you are finding hard work? Good to see you around – hope you’re well! I have read ‘Whoops’ and thought it was great read, more my level, haha! I’ll add ‘Capital’ to my to-read list. I’m not good at reading more than one book at a time but find that I’m able to do it if one is a non-fiction and the other fiction, although I always only want to pick up the latter! I know I shouldn’t be obliged to finish a non-fiction book but I dunno, I seem to have this ‘I’ve started so I’ll finish’ mentality. The book challenge I think is helping me because it’s getting me to read about different things, things which I do have an interest in (of sorts). It feels like an obligation because it’s way outside of my comfort zone but I am learning new things, both about myself and the world. I won’t always choose such challenging non-fiction, the next one will have more humour! Just working my way through this book – currently at page 355! I can do it!! As you said great lessons but not a ‘quick read’! !